These breakfast cookies are a hit with my two-year-old daughter! She thinks it's super fun to get to eat cookies with chocolate chips in them for breakfast. I love that they have tons of healthy ingredients, such as whole-wheat flour, flax seed, bananas and oats. They are easy to whip up and freeze well for busier mornings. Enjoy! Preheat oven to 350. In a medium bowl, combine flours, salt and baking soda, set aside. Cream together butter and sugar. Add egg, vanilla, and banana and mix until combined and somewhat smooth. Gradually add in flour mixture. 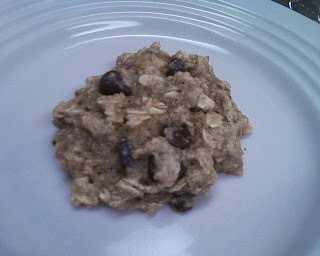 Stir in oats, flax seed, and chocolate chips. Drop tablespoonfulls of batter onto a nonstick or lightly greased baking sheet. Bake for 8-10 minutes, or until set and lightly golden around the edges. Note: These cookies will not likely spread as many cookies do, but will appear puffy. Makes 24-36 cookies, depending on size. Bake as above. Allow cookies to cool, wrap individually in foil, then place in freezer bags, seal, label, and freeze. Thaw to serve. In the past year or so I have been doing more and more freezer cooking. I love having meals at the ready in the freezer, especially when I am tired or don't feel well one night and I can pull a home-cooked meal out of the freezer to serve. 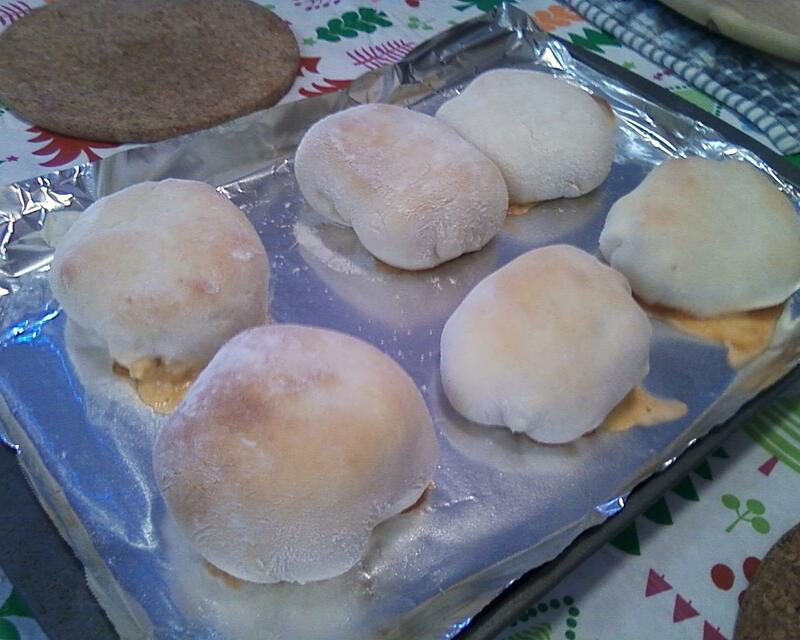 This is one of my favorite freezer recipes, I would compare these buns to hot pockets but of course the taste is so much better. The homemade yeast roll enveloping the filling just make these fantastic! They are also a LOT cheaper than hot pockets. Most grocery stores in my area charge around $2.25 for a 2 pack of hot pockets, so around $1.13 each. Making this recipe which yields anywhere from 12-16 cheeseburger buns depending on size and amount of filling only costs around $6.50 (depending on sale prices in your area), which makes them cost around 40 cents each. Not to mention the benefit of making them yourself is that you control the ingredients that go in them, and leave out all the preservatives that are in the commercial kind of frozen sandwiches. These fun pockets are a hit with my toddler (and husband!) and are perfect for a quick lunch, or can even make a hearty dinner served with a salad. They do take some time and effort to make, but believe me after you take your first taste you will never want to buy hot pockets again! mixer. 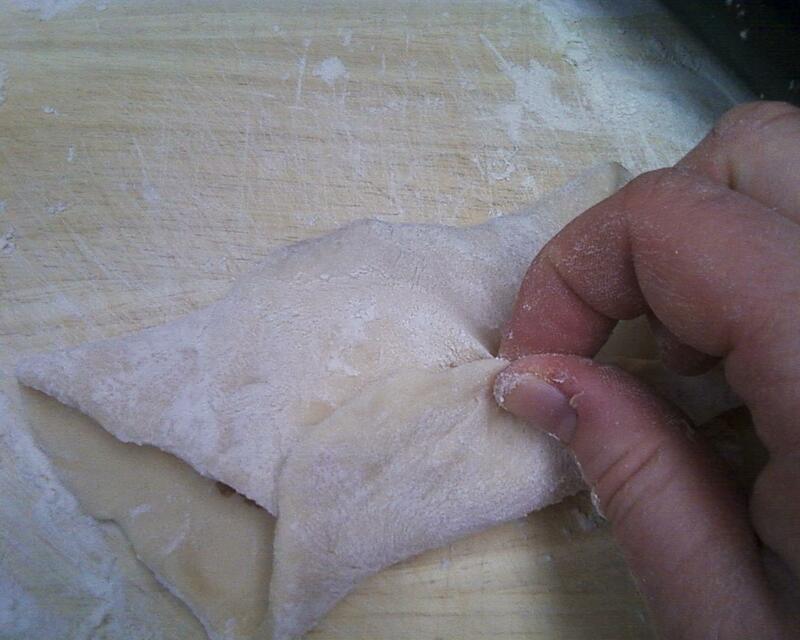 Stir in enough remaining flour to form a soft dough. 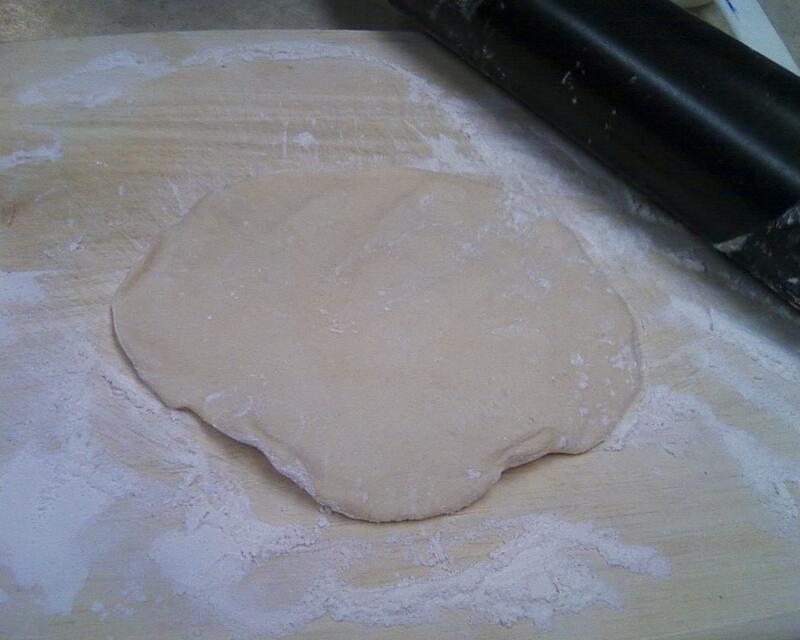 Turn onto a floured surface; knead until smooth and elastic, about 4-6 minutes. Place in a greased bowl, turning once to grease top. 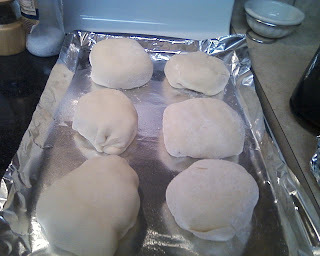 Cover and let rise in a warm place until doubled, about 30 minutes. 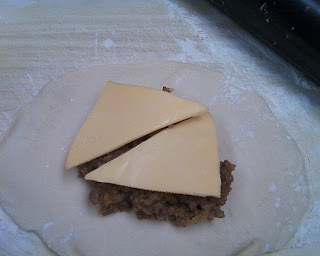 Top each circle with two pieces of cheese and about 3 tablespoons beef mixture. Bring dough over filling to center; pinch edges to seal. Place seam side down on a greased baking sheet. Cover and let rise in a warm place until doubled, about 20 minutes. Bake at 400° for 8-12 minutes or until golden brown. these probably keep about three months in the freezer, however I have never found out since they are usually gone within a week or two! * For pizza buns variation: make dough as directed above but in place of filling use pizza sauce, shredded mozzarella or italian cheese, and chopped pepperoni or any other toppings you would like. Prepare as directed otherwise. 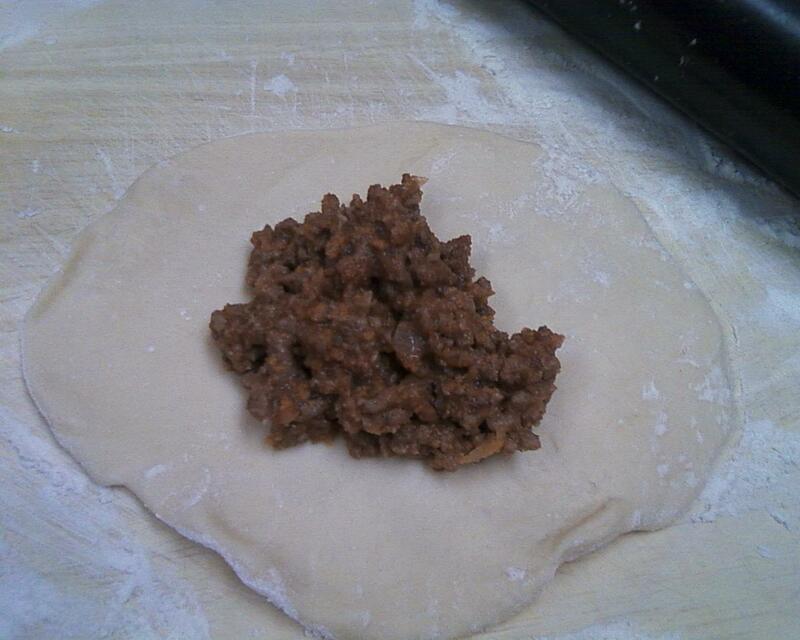 * Sloppy joe buns: brown 1 1/2 lb ground beef and mix with 1 1/2 cans sloppy joe sauce (such as manwich). You can use just that as the filling or top with quartered cheese singles as the cheeseburger buns are. Prepare as directed otherwise. 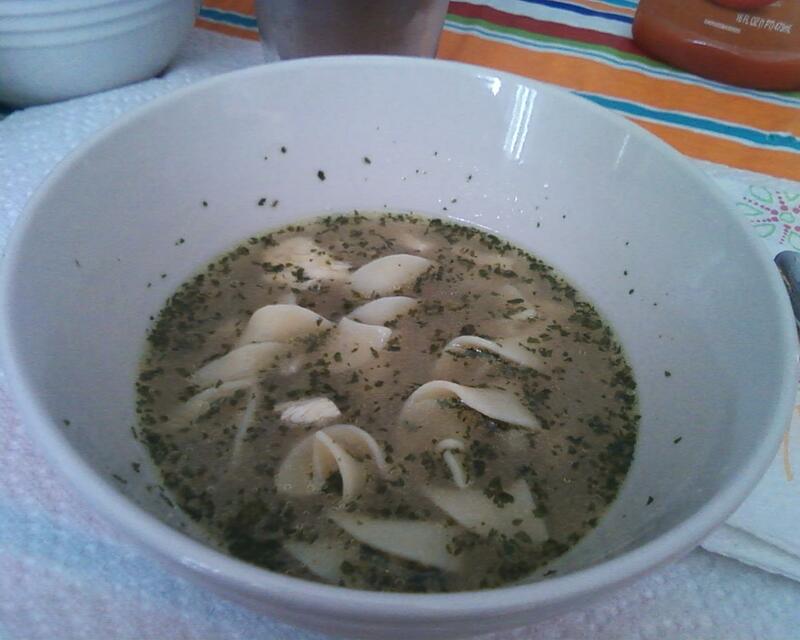 This easy to make chicken noodle soup is a hit! Healthy and totally comforting. In a medium pot, bring water to a boil. Add chicken bouillon cubes and stir to dissolve. Add cooked chicken, onion, bay leaves and pepper, bring to a boil. Cover and simmer for 10 minutes. Remove bay leaves. Add noodles, celery, and parsley; simmer an additional 8 - 10 minutes or until noodles are tender. Makes 4 servings. I was SO happy to find this recipe! Those loaves of frozen bread have gotten so expensive and this dough freezes beautifully and tastes great. Make it one day then just thaw, rise and bake on a busier one! In a large bowl, dissolve yeast in warm water. Add the sugar, salt, eggs, oil and 3 cups of flour; beat until smooth. Stir in enough remaining flour to form a soft dough. Turn onto a floured surface; knead until smooth and elastic, about 6 to 8 minutes. Place in a greased bowl, turning once to grease top. Cover and let rise in a warm place until doubled, about 1 hour. Punch dough down. 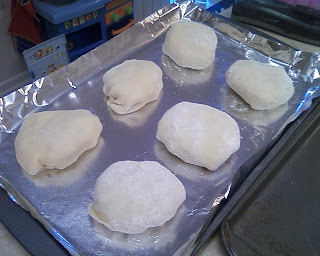 Divide in half and shape into two loaves (can shape into smaller loaves, just decrease thawing/rising and baking time). Place loaves on a wax-paper lined baking sheet, set in freezer for several hours to freeze. When frozen, put loaves into a zip lock freezer bag for storage. When ready to prepare bread, set frozen loaf in a greased loaf pan in a warm place for 4-5 hours or until doubled in bulk. Bake at 350° for 30-35 minutes or until golden brown. Remove from pans to cool on wire racks. Each loaf yields approximately 16 slices. Note: I have only shaped this dough into loaves but it is a moist tender loaf so I am sure you could also shape it into rolls or any other shape you'd like to freeze. Just decrease the thawing/rising and baking time as needed. This chicken pot pie is very easy to make and very good! It is also inexpensive to make, since I use the very cheap but yummy little box of Jiffy pie crust mix to make this pot pie. Of course, you can use any pie crust recipe you'd like. Preheat oven to 350 degrees. Line a 9 in. pie plate with one of the pie crusts and prick a few times with a fork. In a bowl, combine chicken, soup, vegetables, and milk. Season with salt and pepper if desired. Pour filling into pie shell, top filling with second pie crust, prick top of crust to release steam. Bake for 30-35 minutes or until crust is golden brown and filling is hot. (you may want to use foil strips to cover edges of pie crust so they don't brown too quickly). Makes 6 servings. These bars are always a hit with kids of all ages. They look really fun and are so simple to make. Perfect for a bake sale! In a medium mixing bowl, combine flour, cocoa, baking soda, and salt; set aside. In a large mixing bowl, cream butter and sugars. Add eggs, one at a time, beating well after each addition. Beat in almond extract. Add dry ingredients, mix well to combine. Set aside 1/4 cup vanilla chips, stir remaining chips into batter. Spread batter in a greased 15x10x1 in. baking pan (can also use a 13x9 in. pan but will need to bake a few minutes longer). Sprinkle top of batter with reserved chips. Bake at 375 degrees for 18-23 minutes or until a toothpick inserted near the center comes out clean. Cool before cutting into bars. Makes 3 dozen bars. You know the huge, very moist bundt cakes you can buy in the grocery store bakery, often called 'Creme cakes?' This recipe tastes just like them! SO easy to make, only takes minutes to throw together, and I always recieve a TON of compliments wherever I take one! My recipe is for the chocolate version, but you can definitely use different flavors of cake mix and pudding mix to create any flavor you like. In a large mixing bowl, combine all ingredients except chocolate chips and blend on medium speed until combined. Fold in chocolate chips. Pour batter into a greased bundt cake pan or tube cake pan and bake at 350 degrees for 50-55 minutes or until toothpick inserted near the center comes out clean. Makes 12 servings.